Gordeev, believes that Russia has no reasons for food shortages and rising prices. Deputy Prime Minister predicts the average volume of the harvest this year. 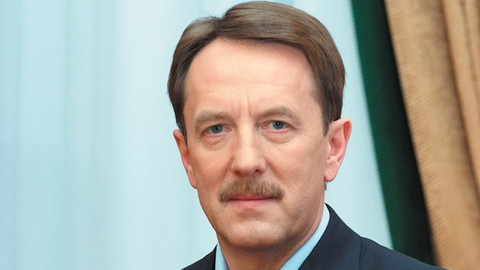 Deputy Prime Minister of Russia Alexey Gordeyev believes that there are no reasons for food shortages and rising prices. This view he expressed to journalists. "We estimate that the harvest will be average in volume and we have no problems in the self-sufficiency of basic foodstuffs, and even have enough leftover to export. So you can all calm down" - said Gordeev. According to the Vice Prime Minister, the current year in Russia is average. "Russia is a big country geographically, and we always happen somewhere arid territory, where, on the contrary, we see floods," - said Gordeev, noting that, in particular, now the storm touched Transbaikalia. Speaking about the possibility of growth in food prices in Russia, he explained that from his point of view, prices on the counter are formed on the basis of purchasing power and shortage probabilities. However, due to the fact that there is no forecast shortage of supply of any product, preconditions for growth of cost of food also there, said Deputy Prime Minister. "The reason food is expensive, no. Work steadily", - he stressed. As previously reported, the Ministry of agriculture forecast grain harvest in Russia for the current year is 100 million tons.